Machine wash! Perfect for car seats, chair throws, cycle seats, baby's crib, invalid bedding (prevents bedsores), or wheelchair - beautiful, durable, practical rugs. 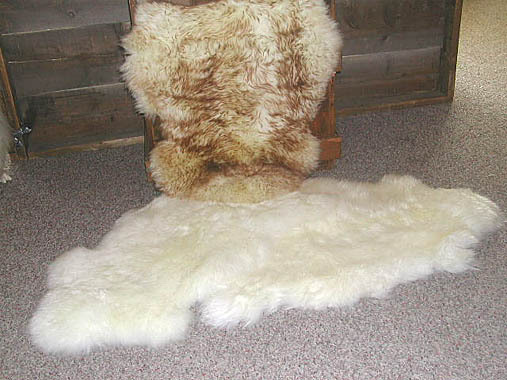 All rugs are natural and vary slightly. Approximately 3 1/2' x 2'.